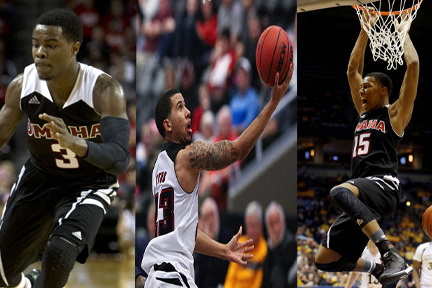 HomeWho has the best Big 3 in the Summit League? 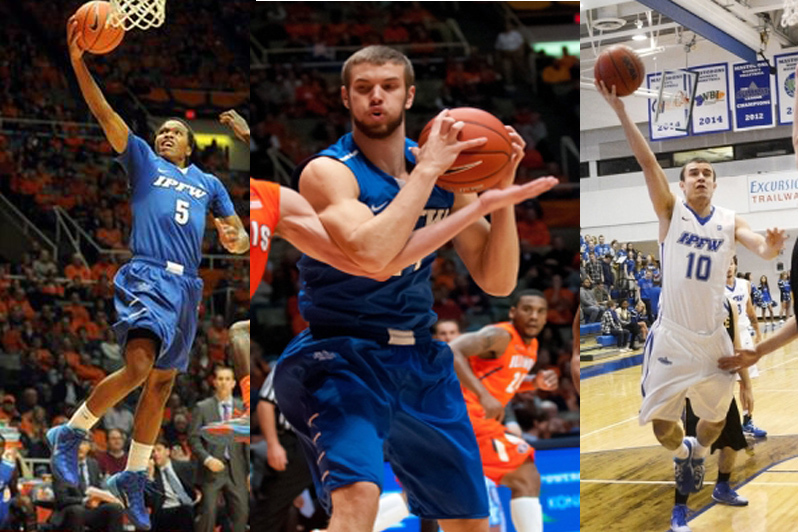 Who has the best Big 3 in the Summit League? Basketball, meh, mainly the NBA has entered into an era of looking at teams by asking the question: Who has the best Big 3? Having a Big 3 certainly is key, but really I think it’s just as important to follow up with who has better role players to back up Big 3? Could the 2008 Boston Celtics have won an NBA championship without their young starters Kendrick Perkins, Rajon Rondo, and older bench players of PJ Brown, Sam Cassell, and James Posey? 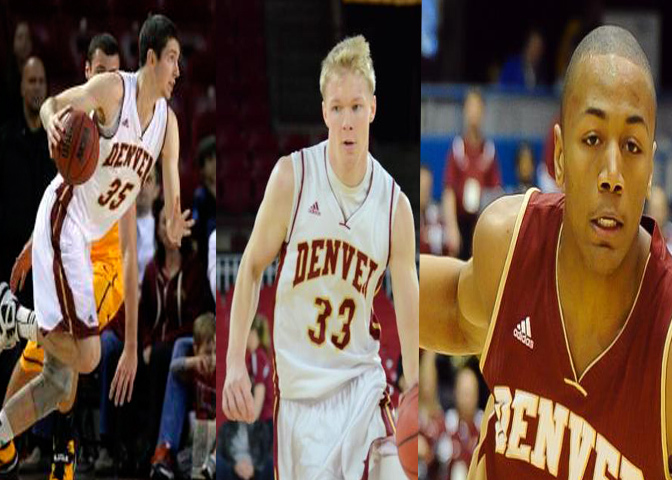 But while we are on the subject, that I brought up, let’s take a look at who could have the best Big 3 in the Summit League in the 2015-2016 season. 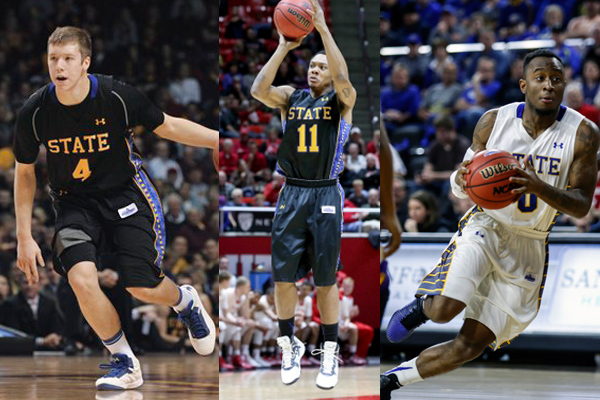 There is little doubt that the Jackrabbits will have the best guard trio in the league. Each averaged double figures in scoring, and all three can defend the perimeter. Each averaged double figure scoring, and Bittle has the highest field goal percentage of any returning player to the Summit league at 53.4 %. The Jackrabbits also have 3 of the top 5 returning players in 3 point field goals made, Marshall made 64 threes in 2014-2015 and he did not even play the entire season. The big question mark is; with Cody Larson graduating, who is going to rebound and defend in the post for them? The Jackrabbits are returning 74% of their scoring from 2014-2015. Reed Tellinghuisen, 6-6 SO: If you look at the Jackrabbits fan forum, someone posted pictures of Tellinghuisen lifting weights, which is not weird at all. He does appear as if he has added some weight onto his frame, which is great as he will be used more at the 4 position in his second year as a Jackrabbit. The Summit League has Tellinghuisen, AJ Jacobson, and Tre’Shawn Thurman all in the same class at the forward position. How excited are you for 2017-2018? Connor Devine/Ian Theisen: These two split time and basically taking turns of who was backing up All Conference player Cody Larson. These two combined for for almost 5 points and 4 rebounds per game. With a young front court, these two will be counted on more in the 2015-2016 season to step up. Skyler Flatten, 6-6 SO: Flatten was actually getting a decent amount of minutes, but then something happened. George Marshall happened. Keaton Moffitt, 6-5 SR: Keaton Moffitt also happened. The transfer, from Division 2 Sioux Falls, made quite the impact on his team with his leadership and hustle, routinely making big plays when it was needed most. The Mavericks could have a Big 4 if Jake White is healthy, with as many injuries as he had in his junior season, it is going to be like getting an entirely new player in the line up. It seemed as if the entire team faced injuries issues last season, so if the Mavs can stay healthy, they can be a very dangerous team in the Summit League with their senior back court of Patterson and Tyus to go along with their rising sophomore star Tre’Shawn Thurman. Random stat: The Mavericks have the most experienced roster with the average eligible player being 2/3 of the way through their sophomore season, but they have the smallest roster with an average height of 6’4″. If Zach Jackson, Ben Kositizke, and Zach Pirog all redshirt, the roster gets even smaller, but more experienced. It is still up for debate if this is one of the meaningless things I have ever posted here. The Mavericks are looking to make a big jump with a new arena and new era. Tra-Deon Hollins, 6-2 JR: Averaged 17 ppg, 6.2 rpg, and 5.3 apg his freshman season of junior college, he appears to be a little bit of everything, and can really help the Mavericks improve their perimeter defense. Daniel Meyer, 6-9 SO: Only averaged four and a half minutes a game in 2014-2015, but he is likely to see an increased role with the graduation of Mike Rostampour and the departure of fellow redshirt freshman Rylan Murry. Meyer appeared to play with a lot of activity on the team’s trip to Italy. Randy Reed, 6-6 SR: I’d like to see Reed’s shot chart, I cannot think of many jump shots Reed made, or took. He really can slash and get to the basket though. When Marcus Tyus missed the last 6 games of the season, Reed really did a decent job of bringing energy off the bench. There were many instances in the Mavericks’ home game against Oral Roberts that he made a play to keep Omaha in the game. I would think with not a ton of post players around the Summit League that Reed will be used as a backup 4. After losing the Summit League player of the year, Lawrence Alexander, the Bison will look to replace that offense in their back court. AJ Jacobson said in a Q&A that the Bison are all about a team effort, and know that there is a next one up to take Alexander’s place. It will probably actually be two up with Kory Brown and Carlin Dupree to take the load on offense over. Seriously, this team is starting to become the HYDRA of the Summit League. While this team is still relatively young, they seem to have completely bought into Dave Richman’s schemes. A Big 3 probably does not really matter to the Bison, they appear to be ready for anything. 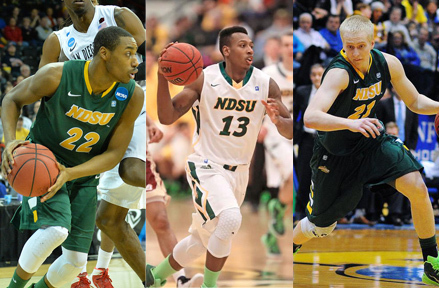 Looking at their roster, they probably have the most complete roster in the Summit League. It is also probably worth nothing; that while the Bison are a young team, their roster has the most division one starts on the active roster for 2015-2016 with 197 starts. Kory Brown is after all a 4 year starter…assuming he is going to start this season. The Bison will continue to work as a team after the loss of Lawrence Alexander. Chris Kading, 6-8 SR: Kading averaged 5.3 points per game and 3.9 rebounds per game in 2014-2015. He is not much of a threat on offense, but he does rarely make mistakes. Actually the Bison rarely make mistakes as a team. Kading led the Summit League in blocks per game. Paul Miller, 6’4 SO: Miller averaged 6.7 points per game and 3.8 rebounds per game, while making 37 threes in his freshman campaign, which is all impressive considering he was sharing the back court with the likes of Lawrence Alexander, Kory Brown, and Carlin Dupree. He also had 10 games in which he scored in double figures. Dexter Werner, 6-6 JR: Had a massive jump from his sophomore to his junior season going from 2.8 points per game to 8.4 points per game. He also only averaged under 20 minutes per game in 2014-2015. With Werner coming off the bench, he and Jacobson allow the Bison to be extremely tough at the 4 position for 40 minutes. It also allows Jacobson to move over to the 3 and play more outside, which is not a bad thing for them. Werner was second on the team in blocks per game, and is tied with Omaha’s Tre’Shawn Thurman as the 2nd leading shot blocker returning to the league. 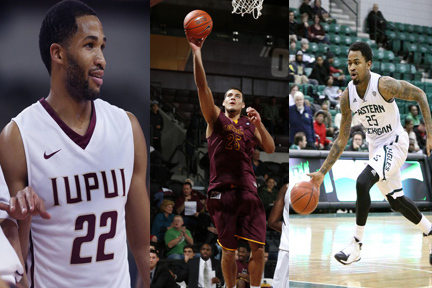 A bunch of new faces for IUPUI, which is not a terrible thing. Marcellus Barksdale is the team’s returning leading scorer, but he can easily fall to the team’s 2nd or 3rd best scorer on the team. Eastern Michigan transfer Darrell Combs is ready to go and has shown he can get buckets. I cannot wait for the “combing the court” puns from terrible ESPN3 commentators. Loyola-Illinois transfer Nick Osborne is expected to make a big impact on this team as well, and will more than likely serve as the team’s primary post presence, as he and other Loyola-Illinois transfer Matt O’Leary are the only upperclassmen post players on the team. Osborne was known for getting into lots of foul trouble when he was a post player for Loyola. The Jaguars are going to look entirely different this season. The Jaguars exceeded expectations in 2014-2015, what can they do with a group of new and improved players? Seriously, how many 6’5″ guards do the Jaguars need? Aaron Brennan, 6-6 SO: Averaged 6.4 points per game in 2014-15 and started in 24 games, but could be moved to the bench with the additions of Osborne and O’Leary. Not a bad thing for your team to have a guy on your bench with 24 career starts as a freshman. DJ McCall, 6-5 SO: Averaged a shade under 5 points per game and had 15 starts on the year. Could also see an increase of minutes with the graduations of Elijah Ray and Khufu Najee. The further I get into this, I realize that the entire team is a group of role players. I admit that throwing Flack’s name into the mix is a risk. Due to an injury, he has yet to play under Craig Smith, but Craig is probably going to like using a 6’7″ guy who shot 45% on threes in his sophomore season. Combine that with Casey Kasperbauer ranking 95th in the nation last season in threes made, and South Dakota will rely on the three ball a lot this season, again. The trio can really make up for the losses of Tyler Larson and Brandon Bos from last season. Tre Burnette is the Summit League’s leading returning rebounder from 2014-2015, and Kasperbauer has the most three point field goals made of any returning player to the League, he also has the 3rd highest three point field goal percentage of any returning player. South Dakota lost 56% of their scoring, that is the most in the Summit League. Trey Norris, 6-0 Sr: Came off the bench in his junior year after being a starter in his sophomore season, but will compete for the starting point guard position with incoming JuCo player, Shy McClelland. Norris had a drop off in production from his sophomore season under coach Smith, but he can still be a capable part of the offense for the Coyotes. Eric Robertson, 6-8 Sr: He made the game winning shot over the Mavericks in Omaha, right? I just remember the beard, and being incredibly angry. I do not completely blame him for the Mavericks’ loss, it is just the final image I have in my mind of that game. Perhaps an increased role in his senior season with the departure of James Hunter, but Craig Smith did a decent job recruiting two 6’9″ freshman (Tyler Hagedorn and Dan Jech) that he may be intrigued to get to the top of the rotation immediately. I continuously forget about the existence of Max Landis, but he is on the team, I swear it, and he was 4th on the team in scoring last season. The ‘Dons lost a lot of their post game, and they do not appear to have much replacing what they lost, so the team could rely a lot on Mo Evans to be a star. Landis will be there to shoot the three, and Joe Reed will need to be counted on even more to be a stretch 4 than he has before. Seriously, this is the first time we have seen the ‘Dons without a serious threat of a stretch 4. Yep, first time in 5 years? Reed did shoot 36% from behind the line last year, but did not take many as he only made ten on the year. The team will be counting on two junior college transfers to fill the void of what they lost from last season, and will need them to adjust and contribute quickly. Side note: The ‘Dons will have transfers from Louisiana Tech, Purdue, and Bradley all eligible to play in 2016-2017. The ‘Dons have the fewest number of Division 1 starts by players on their roster. Andrew Poulter, 6-11 JR: Played in seven games his redshirt freshman year at Arkansas-Little Rock before transferring to Western Texas for his sophomore season, where he averaged 7 points and 5 rebounds per game. DeAngelo Stewart, 6-6 JR: Played his freshman season at Alabama State before transferring to Northwest Tech in Kansas for his sophomore season. Averaged 16 ppg, 6 rpg, and shot 47% from the field in his sophomore season. 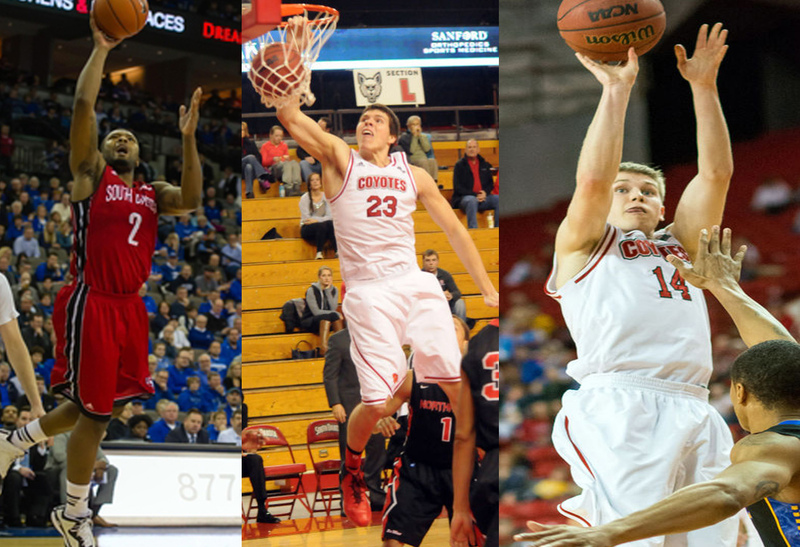 A few people have already tabbed Stewart as the Newcomer of the Year in the Summit League. 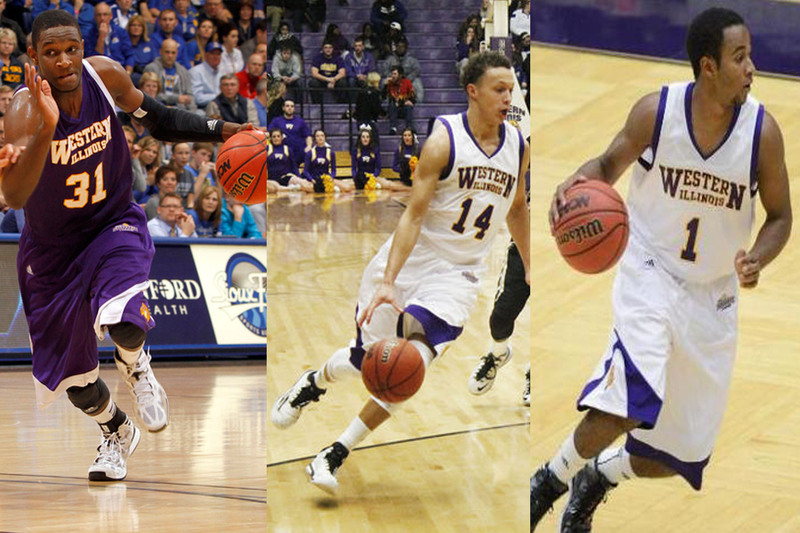 It is hard to determine who the Leathernecks’ third best player is behind Covington and Fuller. Sandifer was the third leading scorer on the team with 7.4 points per game, and he also led the Summit League in assists with 4.3 per game. He even had a great opening weekend in the Summit with 22 points and 4 assists against IPFW and 20 points and 6 assists against Omaha, but then he was basically never heard from again only scoring in double figures one more time through the season. Western Illinois actually has a lot of experience on their team, but how much faith can you put in a team that has gone 1-27 on the road in the last two seasons. The last time they won a road game was January 30th, 2014 against IPFW. The Leathernecks return 89% of their scoring, can they see improvement if they stay healthy? Mike Miklusak, 6-6 JR: Played in 15 games because of a season ending injury He had 21 points and 7 rebounds against Omaha. I am putting my head down right now. Jamie Batish, 6-4, SR: A bit of an inconsistent guard, but gives the Leathernecks an option on offense after averaging 6.4 points per game in his first season with the team. He had 15 points in a win against Omaha. Seriously, I am going to punch myself in the face right now. Tate Stensgaard, 6-8 SR: Played in 20 games before facing a season ending injury. Has shot over 56% on his career as a Leatherneck. Honestly it is pretty difficult to analyze a team’s Big 3 when they run the Princeton offense. Excuse me, I have to take a break, I just had a random memory of Barry Collier being a terrible basketball coach. Okay, I am back… With their offense you need guys that take high percentage shots. These three seniors-to-be had a combined shooting percentage of nearly 50% from the field and 42% on threes. Marcus Byrd has the highest three point field goal percentage for any player returning to the Summit League. The Summit League has been more difficult for Joe Scott and the Pioneers than it was for them against the Sun Belt and WAC, which hopefully is not all that surprising. The Pioneers have gotten worse each of the last three seasons going from 22 wins to 16 wins to 12 wins, can they go for 10 this year? With their high shooting percentage, the Pioneers can always be in a game, but with the Summit League having so many good shooters, teams have been able to take over games down the stretch. It is pretty difficult to beat at home as they are 32-13 at home over the last 3 years, and last year they lost 7 games at home by a combined total of 39 points…one of those games was a 16 point loss to IPFW as an outlier. Denver does not care about a Big 3. Jake Pemberton, 6-3 SO: Likely to see an increased role with the graduation of Brett Olson and Cam Griffin. With Korey Billbury and Bobby Word departing from the team, I really cannot come up with who is going to make up a Big 3 for the Golden Eagles. On paper, it looks kind of rough for Oral Roberts and coach Sutton, but Sutton is probably one of the top coaches in the Summit League and entering his 17th season as the head coach of the Golden Eagles, so they cannot really be counted out, especially if they arguably the best player in the conference. You want to talk about new faces? 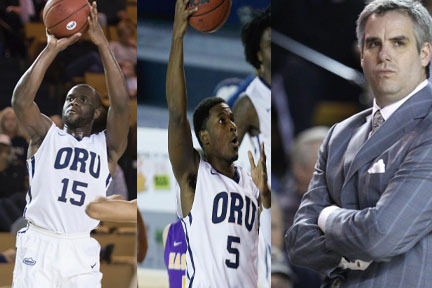 Oral Roberts is going to be like trying to figure out who is joining the cast of another Expendables film. Obi Emegano is a popular choice of Preseason Player of the Year. Seriously have no idea what will be happening with this team. Perhaps this is what happens to a team when they change conferences so often…naw what I mean Denver? Brandon Conley is probably the only for sure thing on the team, everyone else seems to be the mystery man with his trigger on the finger. The Golden Eagles can probably get above .500 in the conference with Emegano and Sutton though.